Bear this in mind; an American tourist told me he regretted not coming here 10 years ago. I asked him why? He told me that his friends who came a decade ago, and now with him here for a second visit, informed him that many wonderful sights they saw before no longer exist! Every decade, indeed we are facing environmental destruction; but we and our government are pretending these never happened! When our rivers had been poisoned, trees had all been burned and cut, endemic floras and faunas get extinct, marine life shattered; and nobody want to come to Borneo anymore, only then will we realize what had we done to our environment! But a few villagers are fighting back. It is a small step but I believe it would be a giant leap forward. Hopefully, their efforts would pave the way for more environmental groups to start some sort of program that would save our ecological, cultural and historical sites from being destroyed. On February 2007, a small group of passionate village volunteers organized a simple beach cleanup to get rid of the thrashes in and around Kudat beautiful beaches because they knew that the sea turtles and other marine creatures would be harm by these wastes and pollution. From that day onward they named themselves as Kudat Turtle Conservation Society (KTCS). 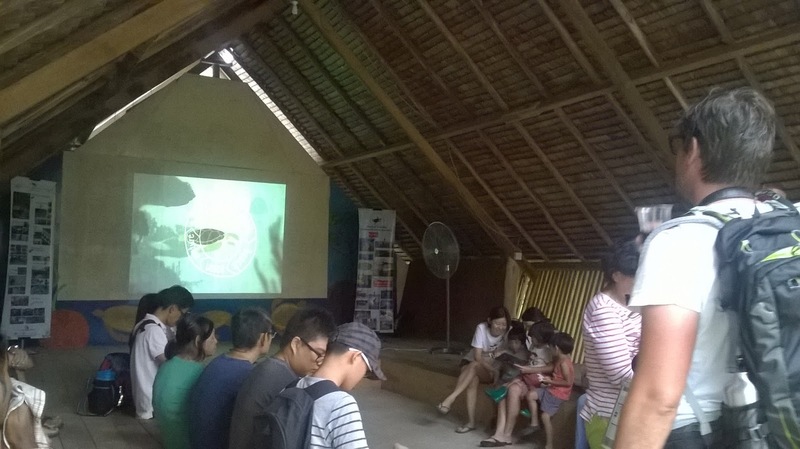 KTCS are focusing their activities such as beach clean-up, beach patrolling (in order to ensure the safety of the nesting turtles) and also the turtle release program. The turtle nurseries are located at Bavang Jamal, a beachfront sandwiched between Pantai Kelambu and Simpang Mengayau (the Tip of Borneo). According to Norfazilah Rahman, the KTCS Project Coordinator, thousands of baby turtles had been released at this beach. The eggs of the turtles are collected not only from around these areas, but also outside from other parts of Kudat. More efforts are needed to protect the environment because sadly, according to Norfazilah, less and less turtles are coming back to hatch their eggs here. Norfazilah also told me that KTCS are looking forward for support from the public such as joining their volunteer program, donating cash even for a small amount or the least they can do is to follow them on Facebook. Please do help them in anyway you readers can; because who knows their efforts could be one of the catalyst to save our precarious environment. for more information and PLEASE CLICK BABY TURTLES RELEASED TO THE SEA to watch video. These baby turtles are so cute and what a refreshing site you have shared. I wonder how hard it is to get donations. Wishing you all the luck with Kudat Turtle Conservation Society. Indeed they are cute. I hope more villagers could start the same activities to breed turtles all around this island of Borneo. Thank you. So much fun having butchering and literature review writing services cooking by yourself and enjoying it. That's really great.m Its mesmerizing me to do the same. !